#Samsung #Electronics on Monday #announced that it has #developed new quality assurance protocols to ensure that it won't have a repeat of the catastrophic issues that plagued its #Galaxy #Note7 handsets. The company last fall issued a universal recall after several of the devices caught fire or exploded. In one incident, a #Southwest #Airlines #flight had to be evacuated in Louisville, Kentucky, after a Samsung Galaxy Note7 caught fire and produced thick smoke on an aircraft. Samsung initially blamed the problem on an "isolated" faulty battery cell issue, before opting to issue a general recall of the device. Samsung has reaffirmed that the design and production of the batteries caused the problems -- not the hardware or software -- but the company has acknowledged that it should have done more to ensure that the batteries could not overheat and cause fires. It has enlisted a group of external advisors to provide clear and objective perspectives on battery safety and innovation. Samsung unveiled its new "8-Point Battery Safety Check," which is meant to address any potential problems. It encompasses a durability test, visual inspection, X-ray test, disassembling test and OCT test, as well as a charge and discharge test, TVOC test and accelerated usage test. In addition, Samsung will conduct a multilayer safety measures protocol on all its devices. It will cover the overall design and materials, as well as device hardware strength. Further, it will ensure that software algorithms are in place for safer battery charging temperatures. "Samsung is doing the right thing. It took its time, but eventually it got enough instances of failed batteries in the lab to figure out what the technical issue was," said Roger Kay, principal analyst at Endpoint Technologies Associates. "At the same time, Samsung has been relatively forthcoming about the results and taking responsibility," he told TechNewsWorld. "The first thing Samsung had to do was make it clear that it understood the core of the Note7 fire, and it had to ensure that it won't happen again," noted Ian Fogg, senior director for mobile and telecoms at IHS Markit. "It had to make creditable assurances to customers, vendors and retailers that this wouldn't happen with future models," he told TechNewsWorld. "The announcement today addressed both of those issues." Although Samsung addressed what it will do to help avoid future problems, the company did not take full blame for the issue. "There is plenty of blame to go around here," said Ramon Llamas, IDC'sresearch manager for wearables and mobile phones. "When [Samsung] asks a supplier to ramp up production on batteries to meet demand, there is blame as well," he told TechNewsWorld. "The next test will be when they unveil a new flagship phone; they will have to showcase how innovative it is in terms of features, but also address the power in the way it charges and its reliability," said IHS Markit's Fogg. "That will be part of the next announcement for any of its products, as the lithium ion batteries are used in so many products --from laptops to phones and even to cars," he added. What is also likely to come out of Samsung's new emphasis on battery safety is a delay of its next flagship handset, likely the Galaxy S8. It had been expected to make its debut at the upcoming Mobile World Congress in Barcelona, Spain, next month, but that now appears unlikely. "If they don't make MWC, that breaks from tradition -- but we can expect that the phone is still coming," said Llamas. In fact, such a delay could be met positively, as "taken in this context, [it shows] that the company is making sure it does things right next time," said Endpoint's Kay. "The public is both sophisticated about understanding that technical failures occur and ADD enough to forget the past pretty quickly -- so if Samsung gets the next one right, all will be forgiven," he said. "It is a right step, but that's all it is," said Llamas. 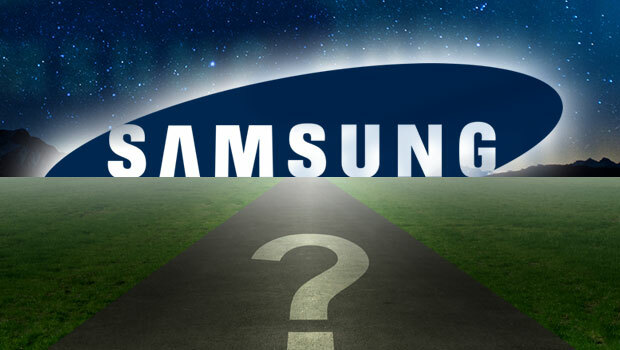 "Samsung will need to make multiple steps to regain consumer confidence. They've identified the problem, but now they need to ensure that this doesn't happen again."